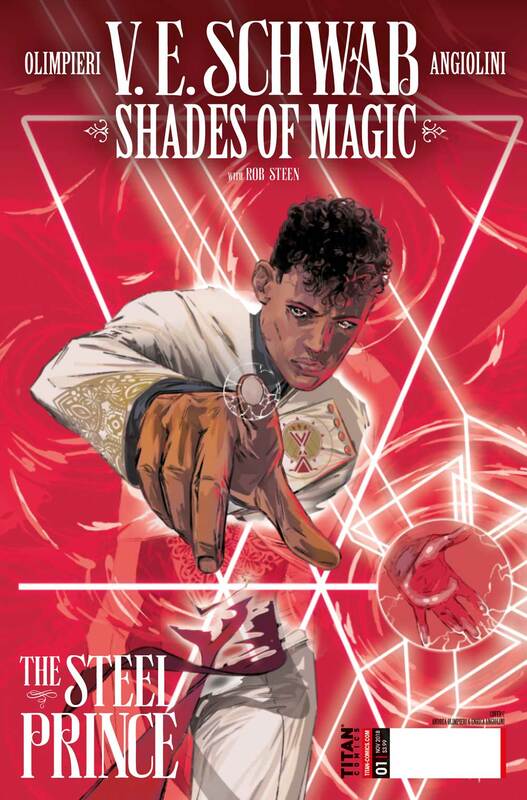 Shades of Magic, the acclaimed YA fantasy novel series, comes to comics with a new story from award-winning creator and New York Times #1 bestseller V.E. Schwab! 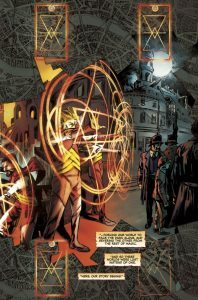 In a gaslamp world where magicians navigate alternate realities, Prince Maxim pursues a dark version of his beloved Red London. Banished from court, he refuses to surrender his quest – and faces worse than exile! When the King calls, even a Prince has to obey. 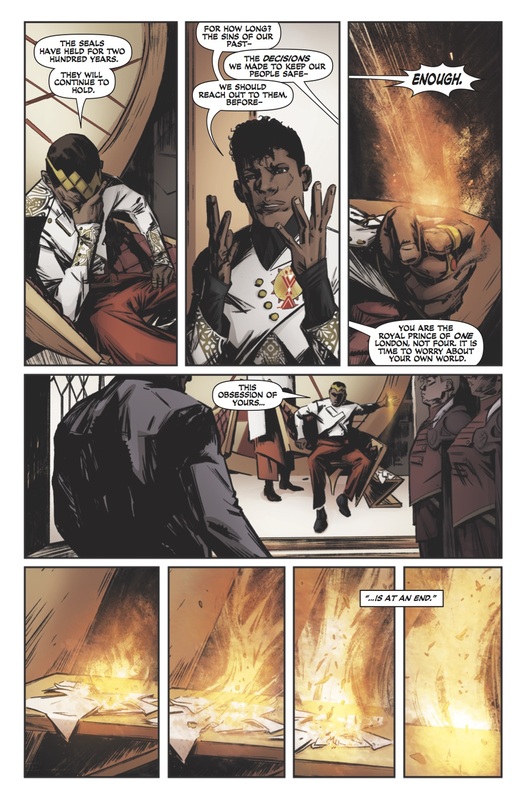 Such is the case when Prince Maxim Maresh reports to his father’s throne room. 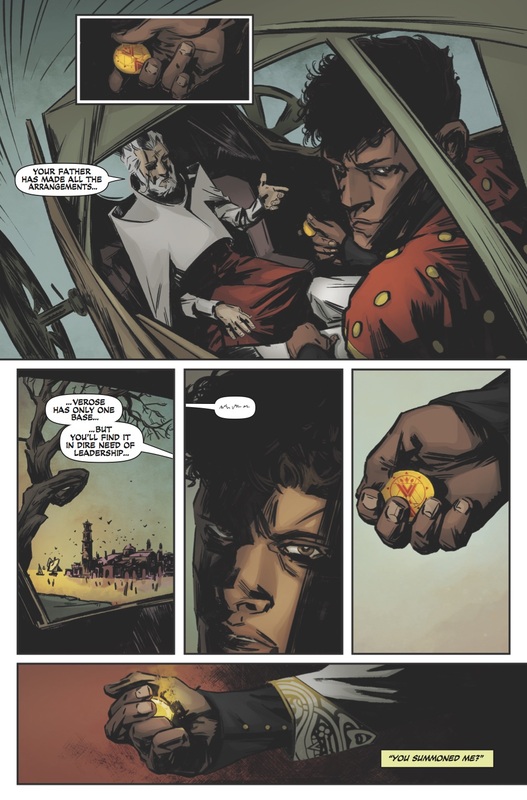 King Nokil has a problem with his headstrong son’s attempts to gather information on the magic used to seal their world away from the other three that border their own. In response, the king sends Prince Maxim to the city of Verose, located on the forebodingly named Blood Coast, where he will take command of the lone garrison and learn a bit about the world he’s destined to rule. It’s a tried and true story, one that’s been told many times and without a doubt will be told many more. The stubborn youngster, determined to step out of the shadow of his parents is given the opportunity to do so and learns that he may not be as wise in the ways of the world as he’d thought. There’s a good reason that this theme is repeated over and over in fiction. There will always be rebellious youths out there, convinced that they know things their crusty old forebears couldn’t possibly understand. In response, there will always be crusty old forebears willing to let their children step out into the world, to succeed or fail on their own and hopefully gain a little experience along the way. 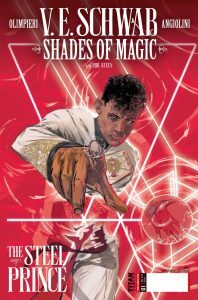 Just based on this first issue, the world of the Shades of Magic series by V. E. Schwab is complex and has a deep history, and because of that new readers might be a little intimidated. Not having read any of the books myself, I had to play a little catch up. 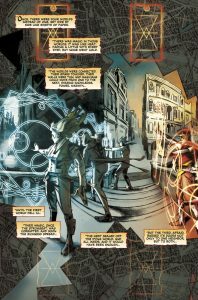 Thankfully, there is an introduction that gives a brief rundown of her world’s history, and by the end of the first issue I felt like I was following along well enough. There’s a forward from Schwab, explaining her motivation for telling the story of a young Maxim Maresh. In her original books, Maxim is already King, but plays more of a supporting role in someone else’s tale. It was in a passage from A Conjuring of Light that she found a deeper story, of how he came to be known as the Steel Prince, begging to be told. 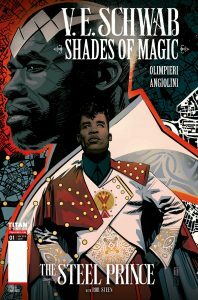 Bringing Schwab’s fantasy world to life on the page are the combined talents of Andrea Olimpieri and Enrica Eren Angiolini. Olimpieri’s work does a good job of showing a layered world, from the King’s richly appointed throne room, to the dirty city streets of Verose. He’s also got a handle on the action, as the inevitable back alley brawl very ably demonstrates. Olimpieri’s illustrations are fleshed out by Angiolini’s colors, using a rich palette and heavy shadows to add depth and mood. 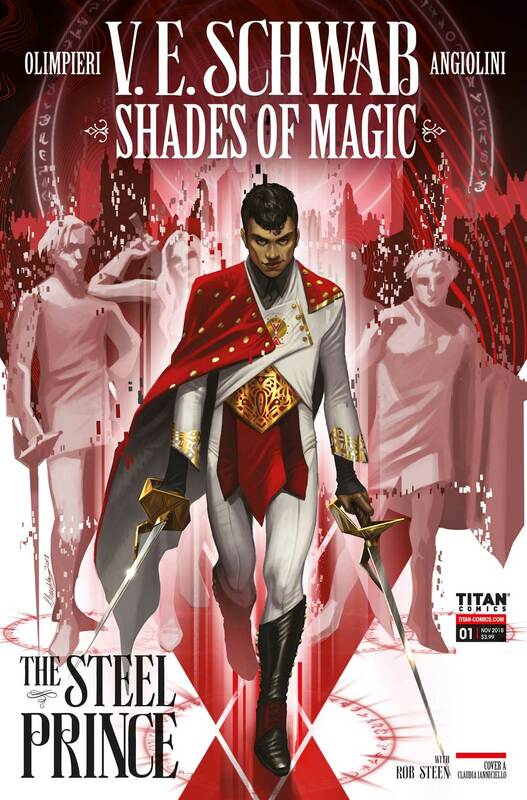 The brightest colors are reserved for- aside from Prince Maxim’s pristine white uniform- the glowing golden magical effects in the story. 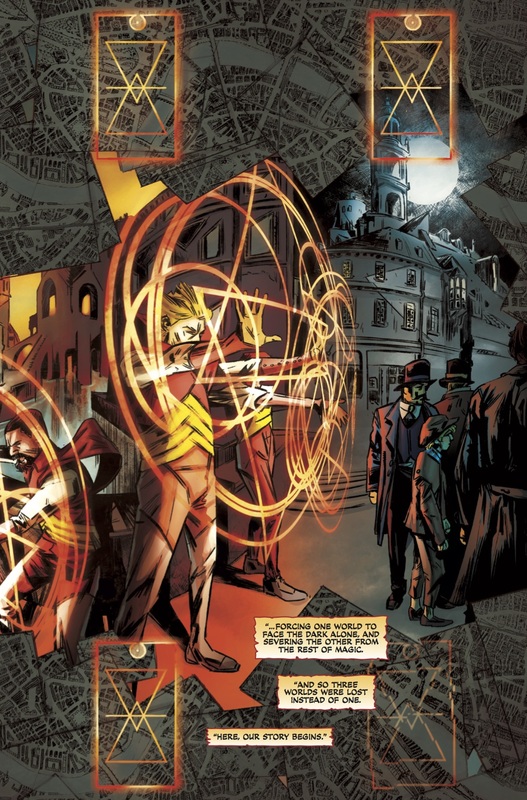 It’s a pretty good approach, given that Schwab’s system of magic doesn’t involve grand spells or waving of wands. It’s a little more subtle than that, and could get missed among all of the other details on the page. Anytime you get an author whose characters grow beyond the scope of a given book, there’s going to be the need to fill in those gaps. 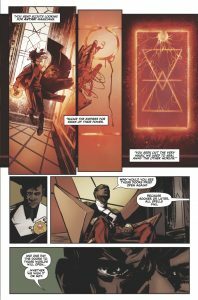 I think comicbooks are the perfect medium for that kind of storytelling and it’s pretty darn cool that V. E. Schwab is taking advantage of it here. 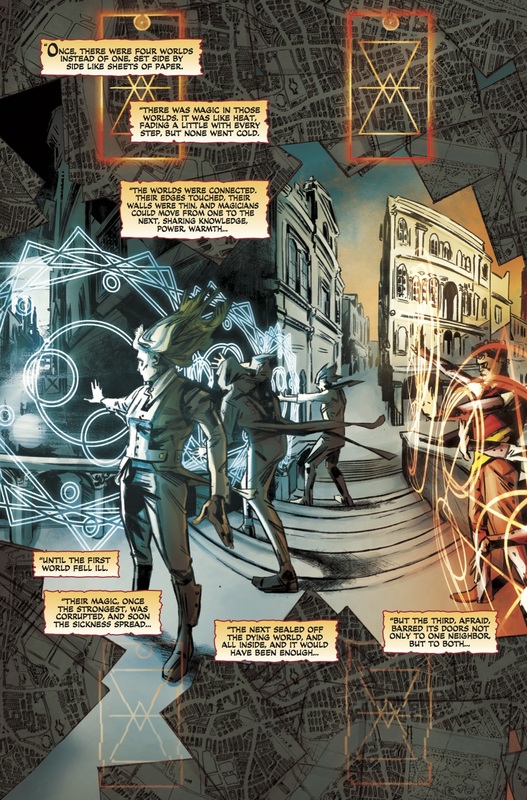 As the creator of her world, there isn’t anyone more qualified to expand on its history, to fill in the backgrounds of her characters and tell the stories that have previously been hinted at. 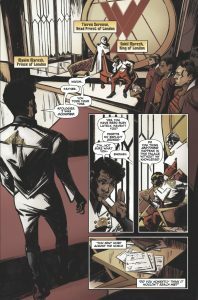 Further, it’s a good chance for established fans to learn more about the characters they love, and for new readers to get their feet wet. 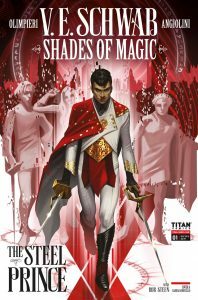 Wherever you may fall, The Steel Prince looks like it could be a great introduction to a deeply layered fantasy world. You know… for those of us patiently waiting for Rothfuss’s next book.